Brother and sister patriots, I speak to you as family because I believe if we are to effectively push back in opposition to Obama and company's all-out-assault on our freedoms, liberty and culture, we (who love America as founded) must stand together as family. In a nut shell, Obama and Democrats/Progressives are out of control. On every issue from the environment to gun control they use the same tactic. Obama hits the airways and makes a totally mindless emotional pleas to low info voters. Arrogantly, Obama then expects to be given carte blanche to trample the Constitution at will. Always having Obama, Democrats and progressives backs, the mainstream media faithfully provides cover for their blatant side stepping of the Constitution. The MSM brands Republicans and anyone who dares to stand up for common sense and the law as being racist, stupid and haters. It works every time. Republicans cave. Sadly, only a few Republicans have the stones to stand up for common sense and the Constitution. Even the ever optimistic Rush Limbaugh said he is depressed over what is happening in our country. While my hope for America is rooted in my faith and trust in God, I realize it is up to each of us to do our part. To restore our great nation, we must get rock solid conservatives in office – one candidate – one race at a time. This is why my Conservative Campaign Committee has produced TV and radio ads in support of "proven" and "tested" Conservative Michael Sullivan for U.S. Senate in Massachusetts. Sullivan's opponents in the primary, Gomez and Winslow, are prime examples of Obama/Democrat sycophant Republicans who are willing to sell their souls for a seat at the table. Electing either of them would further the decline of America as we know it. With behavior uncharacteristic of Republicans and more in keeping with the No-Tactic-Is-Too-Low Democrat Play Book, Gomez and Winslow conjured up a weak tag-team attempt to smear Conservative Campaign Committee as a hate group. Think about that folks. CCC is committed to getting Conservatives/Republicans elected around the country. And yet, "Republicans," Gomez and Winslow are selfishly trying to destroy us – both willing to bend the truth and undermine future conservative/Republican candidates to win at ANY cost. Character matters folks, it always does. Patriots, we at CCC did not pull Michael Sullivan's name out of a hat. We researched the man and spoke with Massachusetts voters. Amazingly, the same words kept coming up in almost every conversation about Mike – "proven," "tested" and "trustworthy." Beginning at Gillette as a stock clerk, Mike Sullivan worked his way up to U.S. Attorney prosecuting the infamous shoe-bomber. A Massachusetts voter who has followed Mike Sullivan over the years said to me, "Mike has a way of always showing up and setting things right." Michael Sullivan is a great man – the kind of strong, no nonsense, character and principle driven conservative we need to send to Washington to assist in the process of restoring our nation back to the vision of our Founding Fathers. Folks, the political tidal wave caused by replacing liberal Senator John Kerry with conservative Michael Sullivan in Massachusetts could cause a tsunami of change in the national political landscape. It will reveal to timid Republicans that a true conservative can win. Thus, this race is national! Please tune in online to http://www.ConservativeCampaign.org/ and support our campaign to fill John Kerry's vacated Senate seat with conservative Republican Michael Sullivan in the upcoming Special Election. 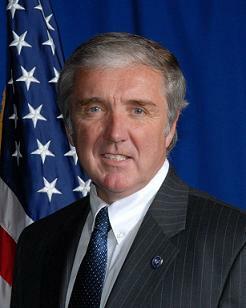 Michael Sullivan for U.S. Senate Massachusetts. We like and America needs Mike!